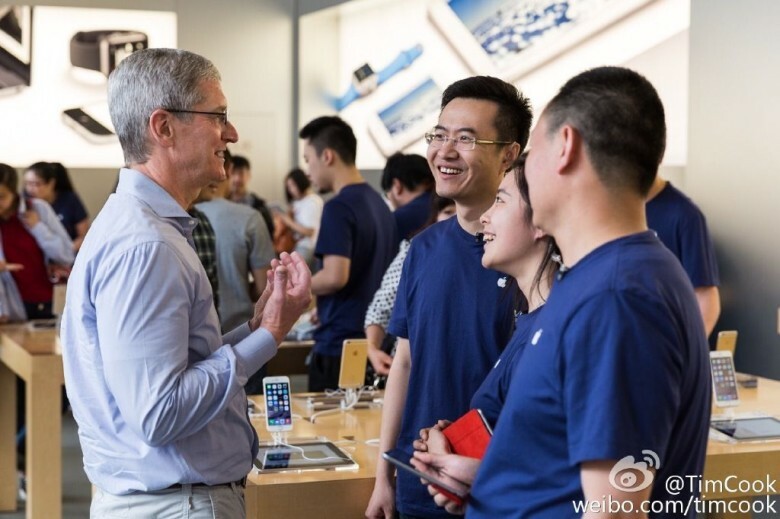 Apple CEO Tim Cook meets with Apple Store employees in China. The latest round of iPhone price cuts on China have accomplished their goal, according to an analyst with Wedbush. Demand for Apple handsets has increased in that country. That’s very good news for the company, as CEO TIm Cook said early this year that slow sales in China were the entire reason Apple saw a revenue decease at the end of 2018. In January, Apple revealed that during the last quarter of 2018 it had experienced a year-over-year decline in revenue, the first time that had happened since before the original iPhone launch. In hopes of fixing the problem, Apple cut the prices on multiple devices in China. The costs of iPhones and iPads to Macs and AirPods have been reduced by up to 6 percent. Wedbush’s Ives says these cuts should spur 60 million to 70 million iPhone users in China to upgrade over the next 12 to 18 months. But the analyst wants further price reductions, dropping the cost of the iPhone XR by 20 percent. Apple’s share price is up today on this news. It’s working on its tenth-straight day of increases, something that hasn’t happened for many years.